What’s next: Tremontaine, and more…. With The Hart and the Hound, Erin and I have now completed our last joint release of 2015. With two novels, two novellas, two novelettes, and four short stories, 2015 has been completely exhausting. And now, we finally get to get back to writing! On October 28, Serial Box Publishing launches Tremontaine, a 13-episode prequel to Ellen Kushner’s Swordspoint. Like all Serial Box projects, Tremontaine is designed to be “HBO for readers.” Written by a writer’s room (Ellen Kushner, Malinda Lo, Joel Derfner, Alaya Dawn Johnson, Patty Bryant, Paul Witcover and myself), a new episode will be released each week in print and audio. 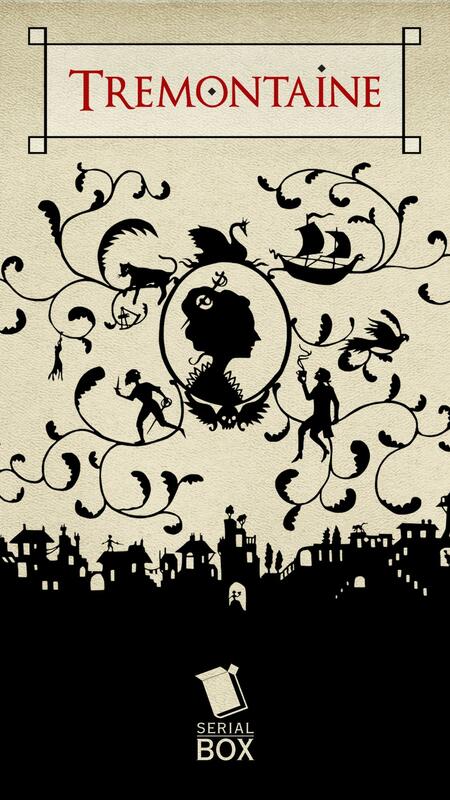 Tremontaine focuses on a Duchess whose beauty is matched only by her cunning; her husband’s dangerous affair with a handsome scholar; a Foreigner in a playground of swordplay and secrets; and a mathematical genius on the brink of revolution. When long-buried lies threaten to come to light, betrayal and treachery know no bounds with stakes this high. Mind your manners and enjoy the chocolate in a dance of sparkling wit and political intrigue. Episode 6 was co-written by Patty Bryant and myself. I have also served as the producer of this project, which basically means I wear an ugly yellow hat and herd cats (*winks* at people who know me from Glee fandom — actually the hat is gorgeous and knit by one of our friends). Cardinal, book 4 in the Love in Los Angeles series, will take Alex to Iceland, Indiana, and Italy as he struggles to make peace with the family he grew up with and the family he’s chosen. Tempest, book 3 in the Love’s Labours series, will have John and Michael revisiting to the eerie Virginia forest that hosts The Theater in the Woods for a summer season filled with skeletons, archaeologists, and a film star trying to restart his career by returning to the stage. A Perfect Princess (working title), is a contemporary M/F romance about the British monarchy and the dissolution of empire. When Amelia, a Northern earl’s daughter who is just trying to finish university, crashes into the heir to the throne at the races, she discovers that one of the hazards of arranging your own marriage is falling in love. An as yet untitled romance set in London and Spain about nosy neighbors, becoming a grandparent, and the formation of a poly triad (M/M/F). There are so many things in this story we’re excited about, very much including its 48-year-old heroine. An untitled M/F romance about two publishing executives on a month-long road trip in Italy who discover an unsettling truth about their relationship after a haunting encounter with the magic of the Mediterranean. An untitled M/M spy novel set in Washington DC. Because love’s a lot less scary when someone’s trying to kill you. Thank you for all your support and enthusiasm. We promise we’ll have more for your to read soon! This entry was posted in books, Love in Los Angeles, Love's Labours, Writing and tagged books, Writing. Bookmark the permalink.